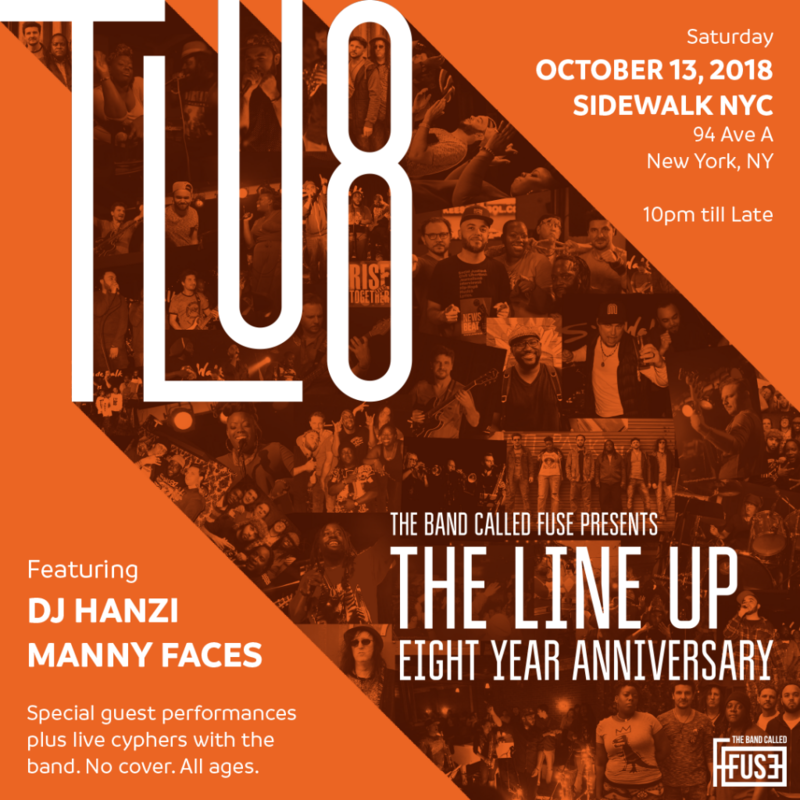 The Line Up Showcase 8-Year Anniversary! Saturday October 13th 2018! The Line Up Showcase!! Plus Manny Faces and live cyphers with the band! !